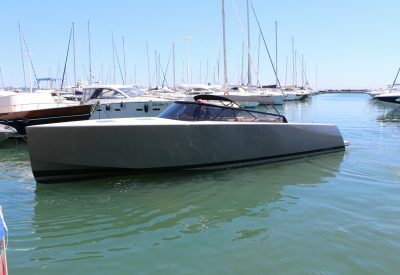 This CANADOS 110′ was launched in July 2007. 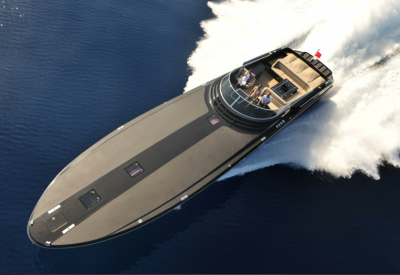 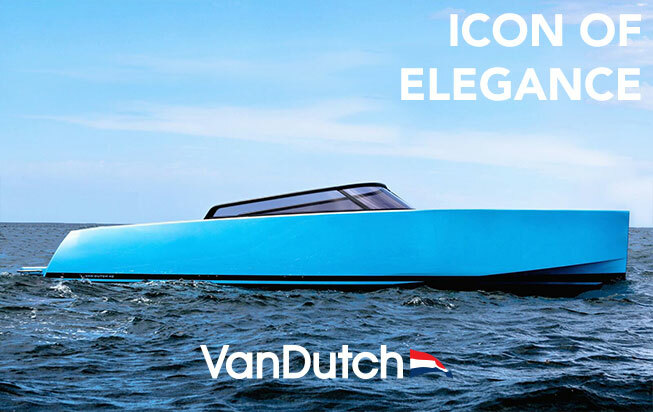 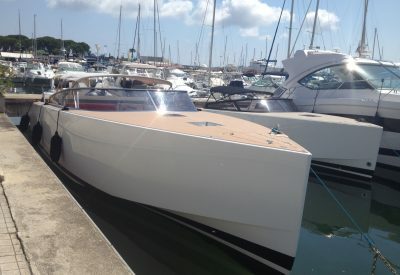 Designed by the yard in a contemporary style, this ideal yacht combines elegance, comfort and performance. 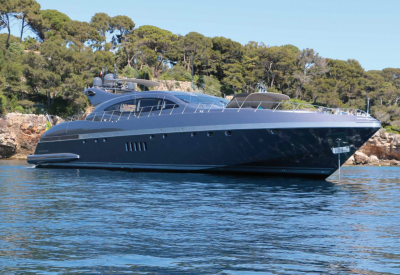 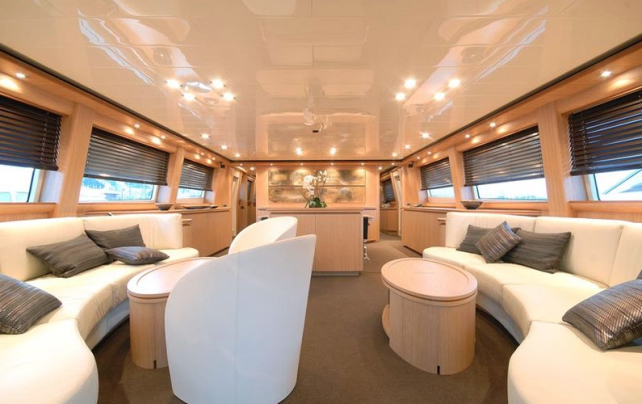 This CANADOS 110′ offers luxury accommodation for up to 10 guests in four en-suite cabins and huge Master stateroom on the main deck. 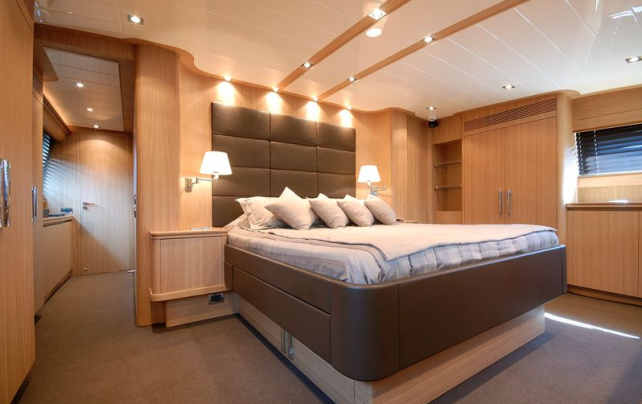 The full-width Master cabin offers a beautiful panoramic view forward and its bathroom is equipped with a Jacuzzi tub. 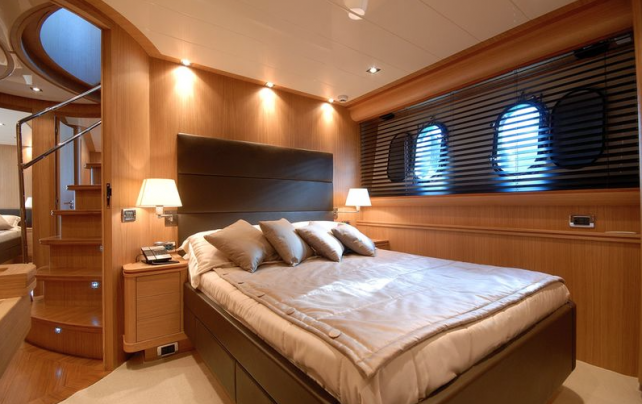 Big storage space and state-in-the art entertainment system (DVD/CD player, plasma screens) are present in all cabins. 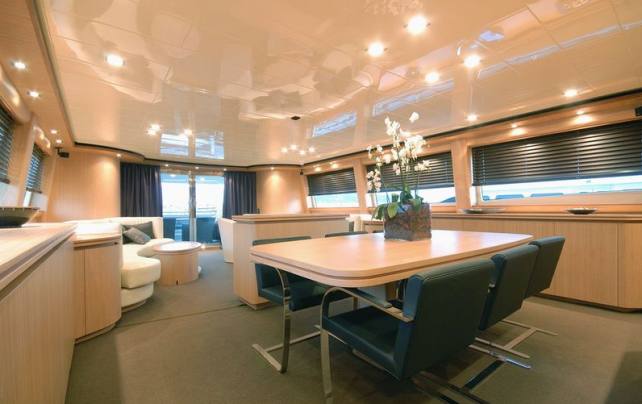 On the main deck you can find a large salon equipped with the latest audio visual equipment with music and movies on demand, and the indoor dining area may welcome up to ten guests comfortably seated. 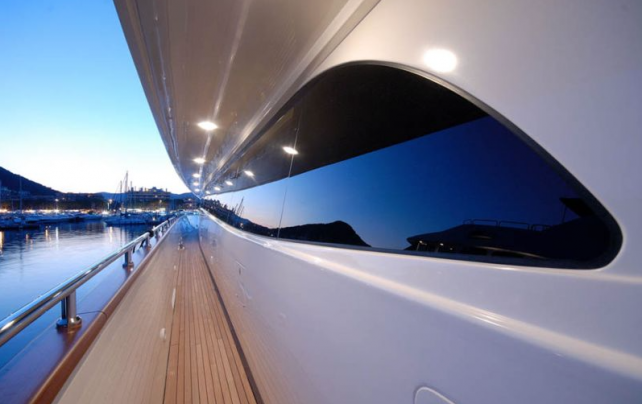 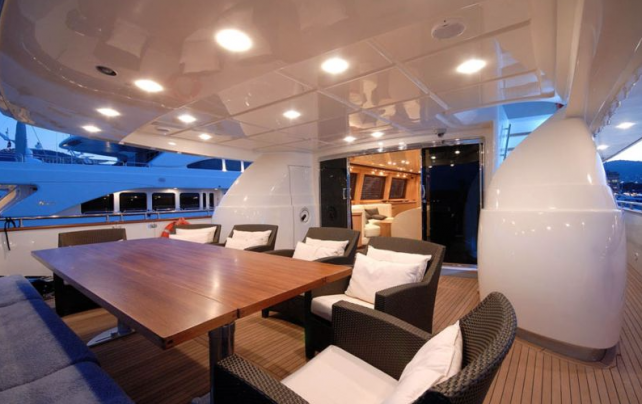 On the fly bridge of this CANADOS 110′ the table and settees are protected by a sliding Bimini cover. 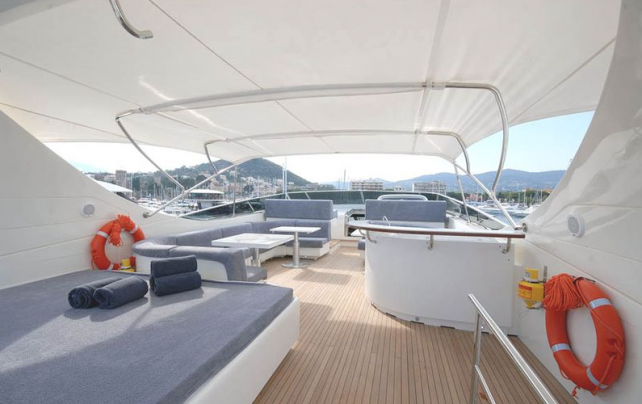 With its bar and sunbathing spaces, this deck will ensure to your guests a full relaxation.